With the 30th Summer Olympic games well under way in London, the inevitable question is asked (as always) by global Motorsport fans; why is there no auto racing in the Olympics? Well believe it or not, auto racing is actually a recognized sport by the International Olympic Committee (IOC), but sports with ‘an element of motorization’ are specifically banned by the IOC. Whatever that means, I’m not really sure. Its like the IOC says (in a thick French accent) “yes we’ve heard about this motorized automobile racing, but the humans aren’t really doing all the work, so we don’t care.” But really, I’m not sure that Motorsport really needs to be included on sports biggest stage. Some of you might not remember that there was actually a ‘Motorsport Olympics’ for a few years. 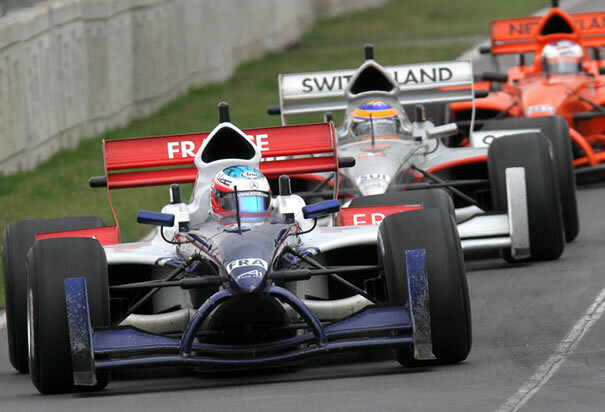 It was a single make open wheel series called A1 Grand Prix that existed for 5 short seasons from 2005-2009. The brainchild of Sheikh Maktoum Hasher Maktoum Al Maktoum of Dubai, it was actually billed as the ‘World Cup of Motorsport’, but the idea was the same as the Olympics; nation versus nation for international pride and glory. The series ran in the traditional winter off season, and I thought it was actually pretty great. The spec cars looked and sounded the business, and were relatively tricky to drive, often leading to some great racing. They travelled the globe much like Formula 1 does (and to many of the same tracks). I liked the format, too; we’re so often used to seeing team versus team, driver versus driver and cheering on your favorite, it was fun to root for your nation of choice. The grids were often star studded, with former, current, and future F1 and Indy Car drivers hoisting the flags for their respective countries. And of course it filled that awful racing void that exists between November and February. It wasn’t without its faults, though. As with all motorsports, costs came into play. While the A1GP formula did keep a very even playing field, some of the nations without a rich motor racing heritage just didn’t have the funds to hire top staff to keep them up front, some national teams faded in and out of the background as a result. Most teams had a revolving door of drivers (for whatever reason), so it was tough for those to get consistent results with a different driver at every other event. Those that had a consistent driver lineup were usually up front and winning, and even though one nation might have had an ace of a driver that day, they were still finding their feet. Even some of the races were farcical, like the 2006 race in China where the street circuit’s hairpin was actually too tight for the cars to negotiate, and they actually had to stop because they couldn’t make it through. Management problems eventually were the death knell for the series. The series’ founder relinquished command not far into A1GPs short history, and the series began bleeding money. Oddly, the new management attempted to introduce a brand new car (that was ‘based on’ Ferrari’s all conquering F2004 Formula 1 car and powered by Ferrari V8s) in only the fourth season, much to the bemusement of the already cash-strapped teams. The new car was poorly timed, and many teams became insolvent due to the unnecessary new costs. From there it was just a slippery slope as races started to get cancelled, and the series eventually folded. 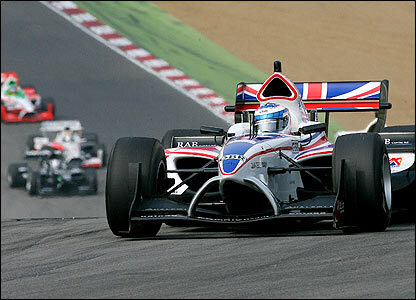 Sadly, A1GP will likely be remembered as a neat concept that never really worked in reality. And unfortunately, that’s really what it was. They’re not the only ones to give the idea a go, either. We’ve seen things like the IROC series (which eventually evolved into NASCAR All-Stars exhibition) come and go. And there’s the current Race of Champions (which I think is the best approach to a Motorsport Olympics) that takes place every winter. But really, we already have an Olympics for motor racing. It’s called….motor racing, and it takes place every weekend. Look at the lineup of drivers and teams at virtually every big ticket racing event, its hugely international. Formula 1 and Indy Car boast very impressive international talent pools, and even NASCAR is becoming increasingly international. Sure, the drivers and teams don’t really represent their country specifically, but each one of them carries the nationalistic pride of an olympian. Just look at the podium ceremony of a F1 race, with the top three drivers standing proud underneath their country’s flag as the national anthem rings out into the crowd. We don’t need Motorsport in the Olympics, because we already have our version. It’s already spectacular, it already happens on any given sunday, and best of all…we don’t have to wait every four years for it.